Kimty provides a one stop service for onsite survey, recommendation on types and locations, supply and installation, relocation, hydrostatic testing, servicing, refilling and certified of fire extinguishers to QP and FSSD submission. Kimty’s fire extinguisher maintenance services are conducted by properly accredited and fully trained professionals, ensuring the highest standards of service each and every time. 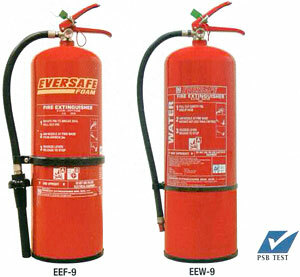 Dry Powder Fire Extinguishers are today’s most widely used type of commercial and home fire extinguisher. These multipurpose dry chemical units are effective on Class A, B, and C fires. 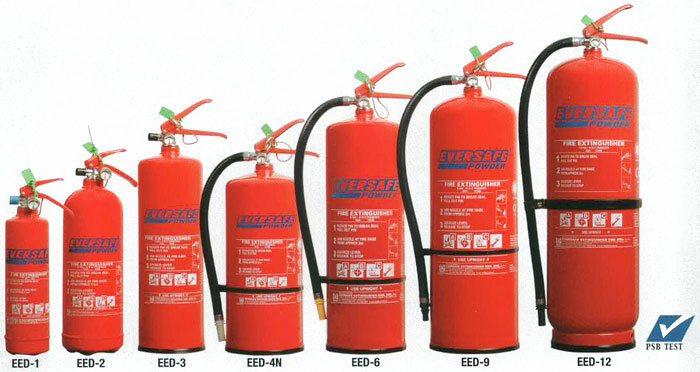 PLS class listed types of extinguishers come in various weight ranges. Depending on the location of placement and type of building, clients can choose from different weight variants to suit their various needs and requirements. * Wire vehicle bracket available on request. 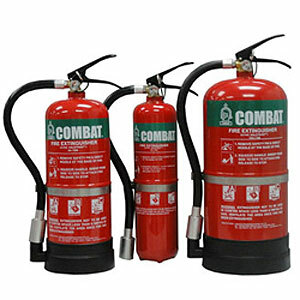 Foam and Water extinguishers are commonly used for fire suppression. However, these extinguishers are for Class A fires only – they should not be used on Class B or C. The discharge stream could spread the flammable liquid in a Class B situation or could create a shock hazard on a Class C blaze. Carbon Dioxide units extinguish fire by taking away the oxygen element and also be removing the heat with a very cold discharge. Carbon dioxide can be used on Class B & C situations. They are usually ineffective on Class A. Wet Chemical is a new agent that extinguishes by removing the heat element and prevents re-ignition by creating a barrier between the oxygen and fuel elements. Wet chemical Class K extinguishers were developed for modern, high efficiency deep fat fryers in commercial cooking operations. Some may also be used on Class A situations in commercial kitchens. Halogenated or Clean Agent extinguishers is a halocarbon based firefighting solution for handheld units. They extinguish by interrupting the chemical reaction of the blaze. Clean agent extinguishers are primarily for Class B & C fires. 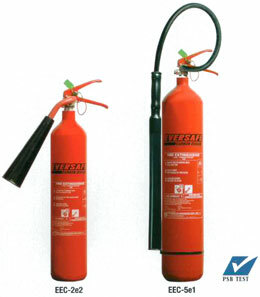 Some larger clean agent extinguishers can be used on Class A, B, and C blazes. 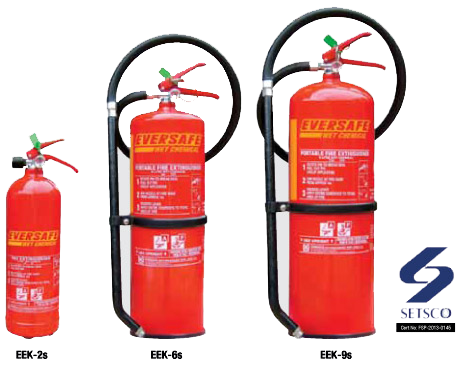 These Marine Equipment Directive (MED) approved portable fire extinguishers have passed stringent quality control tests to be labelled with this renowned European certification.